Khurram Nasir, M.D., MPH, who received his master’s degree in public health from Johns Hopkins University, is the recipient of that university’s 2013 Distinguished Alumnus Award. The honor recognizes alumni whose professional achievements and humanitarian service typify the Johns Hopkins tradition of excellence. Dr. Nasir is director of Wellness and Prevention Research at Baptist Health Medical Group, an organization of more than 130 physicians in multiple specialties integrated within Baptist Health South Florida. Dr. Nasir’s area of expertise in preventive cardiology involves the identification of high-risk individuals — those likely to have a heart attack or stroke. His research helps to identify the at-risk population so that treatments may be targeted to them, rather than medicating everyone considered at high risk by current guidelines, which includes those with high cholesterol, a large number of whom will never develop heart disease. Dr. Nasir received postdoctoral training in preventive cardiology in the division of cardiology at Johns Hopkins Hospital, followed by a year of internal medicine training at the University of Pittsburgh. He is also a recipient of an NIH training award for the cardiac imaging training program at Massachusetts General Hospital in Boston. He completed his internal medicine residency at Yale University. He continues to collaborate with colleagues at those institutions on their multidisciplinary approach of early cardiovascular prevention strategies. “Having someone of Dr. Nasir’s caliber at the helm of Baptist Health’s prevention research program will positively impact the health and wellness of our community,” said Jack Ziffer, M.D., Ph.D., and CEO of Baptist Health Medical Group. 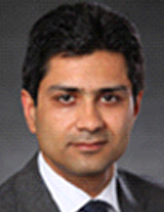 Dr. Nasir and his Baptist Health Medical Group colleagues have embarked on a pilot study on lifestyle and behavior modification techniques for Baptist Health employees with metabolic syndrome risk factors. The team will be starting a second, long-term prospective cohort in 2015 with both employees and community members that will better appropriate patients at risk for heart attack or stroke leveraging state-of-the-art innovations in cardiac imaging and novel biomarkers. “The vision, enthusiasm and experience that Dr. Nasir brings to his work will continue to propel cardiovascular research to the next level and puts Baptist Health at the cutting edge when it comes to prevention,” said Baptist Health President and CEO Brian E. Keeley. Dr. Nasir has more than 240 peer-reviewed articles to his credit published in top journals such as Lancet, New England Journal of Medicine, JAMA, Archives of Internal Medicine, Circulation, Journal of American College of Cardiology and European Heart Journal. He also is associate editor of two leading journals (Atherosclerosis and Circulation: Cardiovascular Quality and Outcomes), currently serves as chair of the Prevention Council of the Society of Atherosclerosis Imaging and Prevention, and is a member of the American Heart Association’s Statistics Committee of the Epidemiology & Prevention Council. Dr. Nasir has lectured extensively throughout the world on coronary arthrosclerosis, cardiac imaging and prevention. Baptist Health Medical Group is part of Baptist Health South Florida, the largest not-for-profit healthcare organization in the region. It includes Baptist Hospital, Baptist Children’s Hospital, South Miami Hospital, Doctors Hospital, Homestead Hospital, West Kendall Baptist Hospital, Baptist Cardiac & Vascular Institute, Mariners Hospital and Baptist Outpatient Services and Baptist Health Enterprises. Baptist Health Foundation, the organization’s fundraising arm, supports services at all hospitals and facilities affiliated with Baptist Health.